It has been a remarkable month for David Goffin. The 25-year-old from Belgium closed out a dream month of July with his maiden ATP World Tour title following a three set victory over Dominic Thiem in Kitzbuhel. Goffin rallied from a set down to defeat the budding Austrian prospect 4-6, 6-1, 6-3 in the final clay court match of the 2014 season. The Belgian youngster is coming off three consecutive title wins on the ATP Challenger circuit to put himself at 15-0 in the month of July and undefeated in 30 sets. He extended that extraordinary streak when he returned to the ATP World Tour this week in Kitzbuhel, where he defeated the likes of Kenny de Schepper, Philipp Kohlschreiber and Paolo Lorenzi, Maxiomo Gonzalez and now Dominic Thiem. 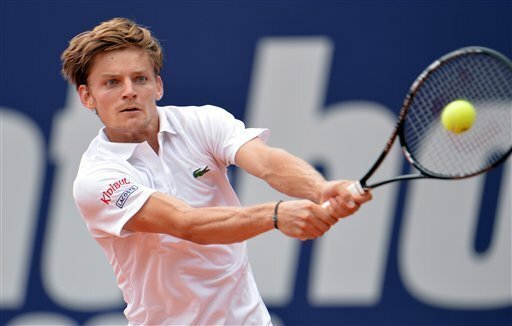 During his run in Kitzbuhel, Goffin did not lose a single set until he reached the semi-final stage, where he dropped the opening set against Maximo Gonzalez, who was ranked 26 spots below him in the rankings. 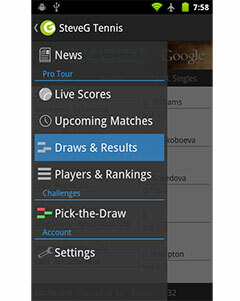 He would drop only one more set en route to the Bet at Home Cup. “It’s a great day for me, to win an ATP [World Tour] 250,” said Goffin. “It’s just an amazing feeling right now. I don’t believe it. Maybe in a few days I’ll realise what happened today. Goffin is now on a 20-match winning streak in and has won 250 Emirates ATP Rankings points, which should send him into the Top 50 for the first time in his career. Although Thiem was not victorious in the Kitzbuhel final, was the season’s youngest finalist at ATP World Tour event, which speaks volumes on his projected future achievements on the tour. He put up a great fight against an opponent who had already beaten him twice previously, but eventually lost the match in 1 hour and 59 minutes.